Very nice essay, Eryn. 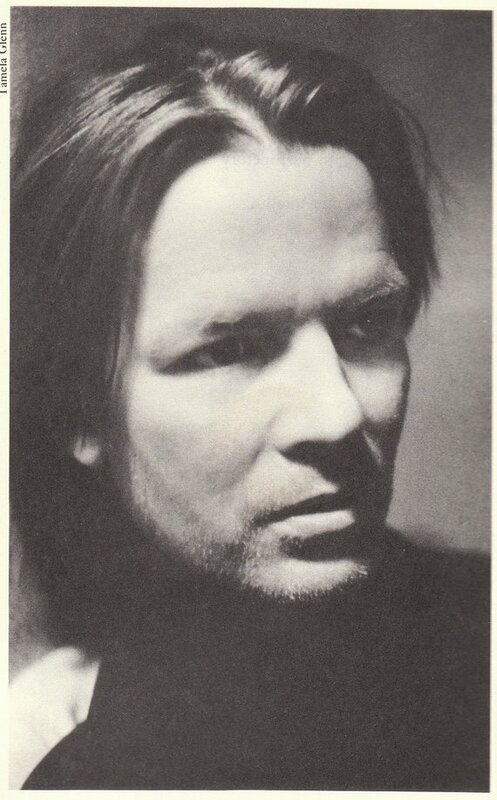 I, too, had a teenage infatuation with Jim Carroll. Is it embarrassing to say that mine started with a mention in Sassy magazine? It’s true. Sassy actually opened my eyes to a lot of stuff I wouldn’t have otherwise discovered, and Carroll was one of them. It’s disappointing to hear that his novel is so, well, disappointing. If you’re like me, your year-end mail and email are filled with requests for charitable giving. As I consider all the different organizations pleading their cause, I realize that they are basically divided between two types of missions: artistic and social. The undercurrent of these discussions was that carrying out a program or a mission required both intention and expertise. It wasn’t that we weren’t genuinely excited about being challenged into new territory; but we knew our own expertise, and we’d witnessed the pitfalls of breadth over depth which many growing organizations fell into. A graduate school professor said to our class on Day One of our writing workshop: “The Great is the enemy of The Good.” I’m not sure if he was coining his own expression, or perhaps paraphrasing Voltaire’s, “Le mieux est l’ennemi du bien” (Dictionnaire Philosophique, 1764) — literally translated, “The best is the enemy of the good.” In either case, I couldn’t help, in my youth, but be a little offended; it was Day One, after all, and you’d think he might at least get to know us a little before discouraging too-high writerly aspirations. Over the years, however, that expression has stuck with me, and its meaning has morphed into something quite different — the conflict in my mind now not one between artistic brilliance and mediocrity, but between created and creator. I recently re-watched the film My Architect, a bio-documentary on Louis Kahn, written and directed by his son Nathaniel Kahn. Lou Kahn was a visionary architect, well known for completing just a handful of monumental masterpieces, including the National Assembly Building (Jatiyo Sangsad Bhaban) of Bangladesh, the Salk Institute in La Jolla, two buildings at Yale University, the Kimbell Art Museum in Fort Worth, and the Phillips Exeter Academy library. Such celebrity architects as I.M. Pei, Philip Johnson, and Moshe Safdie have praised Kahn as the quintessential architect-as-artist — a brilliant but oddball character who stayed true to his aesthetic visions at the expense of commercial success. Indian architect B.V. Doshi described Kahn as a guru, a yogi. Kahn was found dead of a heart attack in a public restroom at Penn Station one night in 1974, at the age of 73; it took three days to identify him. At the time of his death, he was deeply in debt. Nathaniel was Lou Kahn’s third child, each child born of a different mother; only Sue Ann, the eldest, was “legitimate.” Nathaniel was 11 years old when his father died and made the film, 30 years later, as a way of finding and knowing his father. Through the film we come to learn that Lou did not suffer much over his three-family situation, while the women and children involved did. It was almost impossible, a building for a country like ours; 30-50 years back, it was nothing, only paddy fields… he gave us democracy…he has given us the institution for democracy… he paid his life for this. And that is why he is great, and we will remember him. But he was also human. Now his failure to satisfy the family life is a [sic] inevitable association of great people. But I think his son will understand this and will have no sense of grudge or no sense of being neglected…. He cared in a very different manner, but it takes a lot of time to understand that… He has given us this building, and we feel all the time for him… He has given love for us. He would not probably give the right kind of love for you, but for us, he has given the people the right kind of love… you have to understand that. He had an enormous amount of love. He loved everybody. To love everybody he sometimes did not see the very closest ones, and that is inevitable for men of his stature. The transcript alone might be easily dismissed as thin justification. I recommend watching the film, or at least the scene here at YouTube, for full effect. That scene, and Wares’s deep conviction, haunt me. One student asked me at the [public service] summit meeting, more in sadness than in anger, “Why can’t Harvard be both great and good at the same time?”…The question is neither peculiar to Cambridge nor to this generation, but in this generation the search for goodness, both institutional and personal, has reappeared as a defining characteristic in young people’s renewed search for the good life. Rachel Fershleiser, co-editor of the popular Six-Words Memoir series, and senior editor at SMITH, also wears the hat of Director of Events at Housing Works Bookstore Cafe, a nonprofit whose ultimate mission is to generate proceeds for nutrition, shelter, housing, health, and employment services — provided by its parent organization Housing Works, Inc. — for homeless New Yorkers who are HIV-positive. I really believe [the Six-Words Memoirs projects] help people. I’ve gotten hundreds of emails about contributors reigniting their passion for writing, families brought together in brainstorming each others’ memoirs, and even teens claiming they’re alive today because the community of friends they found on smithteens.com brought them back from edge… Still when I’m staying in the Marriott Courtyard in Brookline Massachusetts raiding the minifridge and obsessing over why some other author got on The Today Show and I only got on The Early Show, it can all feel a little superficial. Housing Works’s mission is essential on a basic level: food, shelter, medicine. The unique position I’m in — that I can use my skills in organizing cultural events to effect those things (rather than, say, writing sometimes and ladling out soup sometimes) — makes me feel especially lucky. I joined NYWC and the PEN as much out of a search for communities that reflected my social interests, as for a selfish desire to be with writers who were not caught up solely in the mechanics of craft and publication. I was into renewal at that point – and preferred communities where the simple rush of creativity was the glue. My experiences in Mexico brought me close to marginalized communities where I witnessed that “outsiders” are not doomed to a sentence of silence. Both PEN and NYWC facilitate creativity from strong voices that are not always the first to be heard… My work with them…has more than once pulled me through… moments when I wonder why I bother to write at all. …being an active part of the world is something I am passionate about. Each of my novels was torn directly from the world, from the things that scare me and thrill me and make me laugh. For my work to be part of the world, I’ve always thought I need to be part of it too. Of course, everything we do conflicts with our artistic impulses, because the day only has so many hours and the body only so much energy. But even as my active engagement with the outside world takes time, it also feeds my engagement with my inner world, how I understand both myself and what it means to be human. So starting [the Camel Book Drive and the Afghan Women’s Writing Project] has occurred naturally—they have sprung out of what already excites me. My involvement with both projects has been an enormous gift. “Lucky,” “pulled me through,” “gift.” There is the commonality of inner imperative here, the give impulse and the receive impulse bound into one. Your goodness must have some edge to it, wrote Emerson, – else it is none. That edge, perhaps, is an understanding — an indulgence — of this two-way engagement. We’re everywhere. Poets and children’s book writers. Novelists and memoirists. Painters and sculptors, dancers and actors. We clean your teeth, snake the clogs in your drain, and drop off color copies to your desk during the week.